Buy your shirt to help TBHC kids! All funds raised will go directly to Texas Baptist Home for Children . TBHC specializes in foster care and adoption. Our kids have come from some hard places and we believe that with great care and love, our kids can thrive. With this t-shirt purchase, you help share the news about TBHC foster care and adoption and your support of this ministry. We served 280 foster children last year and help over 24 kids find their forever adoptive home. TBHC seeks to protect children, promote family, and meet needs. I feel this is what Jesus would have me do. I love what Texas Baptist Home is doing. And I love this shirt. My husband lived at the Baptist Home in Round Rock. 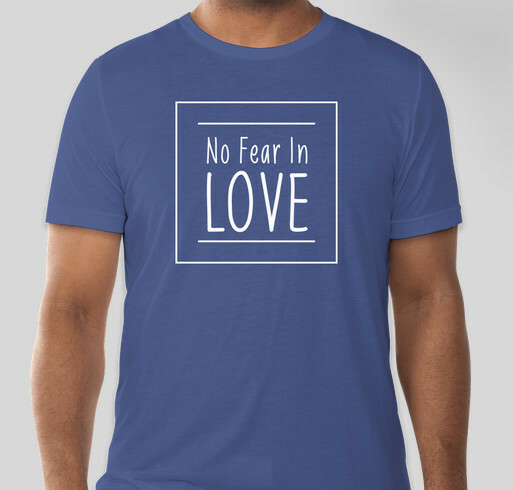 Share Why You Support "No Fear In Love"